Sahara Desert. It’s one of those travel destinations where I often hear travel stories about how it had forever changed someone’s life. A few months ago, I finally had the chance to experience the seemingly endless landscape of fine orange sand in this vast arid land. The Erg Chebbi Desert of West Sahara is situated by the Western end of Morocco. 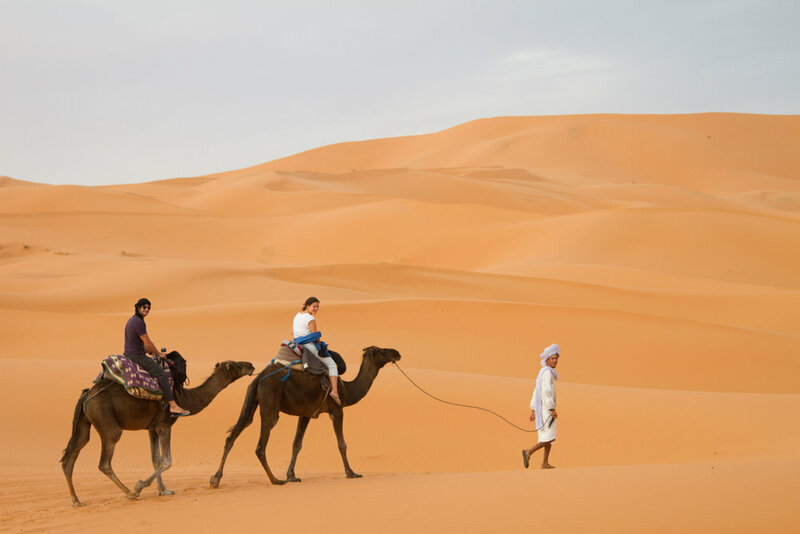 A two-day drive brought us from the bustling city of Marrakech to the small, laid-back town of Merzouga, an entry point to the desert interior. For the next two days, we rode camels through the desert during the day, and watched stars at our campsite with the background of Berber music during the night. We woke up early to see the sun rising behind the dunes and experienced silence and serenity beyond imagination. Scroll through the images below as we document the precious moments we spent in West Sahara.